Do you love frozen berries but not a huge fan of the price charged in the big supermarkets? Well FrozBerries is the place for you. I adore blueberries and can often be found laughing hysterically in the fruit and veg section when I pick up one of those itty bitty plastic containers with about ten sad little berries staring back at me. The price tag should have it's own stand up routine. I must admit out of desperation I've smuggled a few of these into the shopping before my husband has had a chance to perform a routine scan over the trolley with his terminator lazor eyeball. I always feel dirty afterwards and have even forgotten I've purchased them once or twice only later to discover they've morphed into some form of mouldy penicillin in the corner of the fridge draw. It's a tragic waste I've kissed goodbye to since my tricky husband has discovered this delightful little shop in Malaga. Situated amongst office blocks within the industrial area it really is very "blink and you'll miss it"-ish, however if you do get a chance to drop in there is plenty on offer. Frozberries also has an organic range called Elgin that offer frozen fruit and vegetables with no artificial pesticides, herbicides or added fertilisers. If you can't make it to Malaga or any of the other stores around Australia they do offer free home delivery. This is a great little company that seems to try to promote Australian grown produce as much as they can. For the sake of comparison I was buying 500 grams of "organic" frozen blueberries from Woolworths for $8 and am now paying 90 cents more for a kilo at FrozBerries! It's definitely a money saver and a great alternative for consumers who not only want value for money but consistency in quality. My husband has recently discovered the wonders of Blueberries and makes himself a power punching breakfast chock full of healthful goodies. 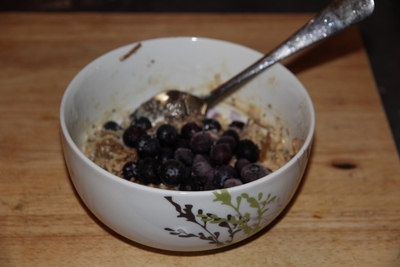 He makes up a bowl of oats and milk and adds Chia seeds, bran, honey, blueberries and sometimes yoghurt/protein powder or a banana. But the ingredient he never leaves out, his self proclaimed pièce de résistance is a large spoonful of organic peanut butter. I'll keep my taste judgement to myself but he swears by it and he's a pretty healthy bloke. Why? 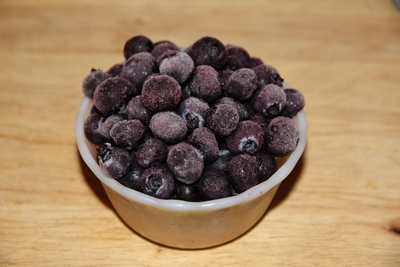 Because frozen berries are literally cool! I was getting all excited until I checked out the price of their organic blueberries which are $7.50 for 350g, making Woolworths' organic blueberries cheaper if the price you quoted was correct.